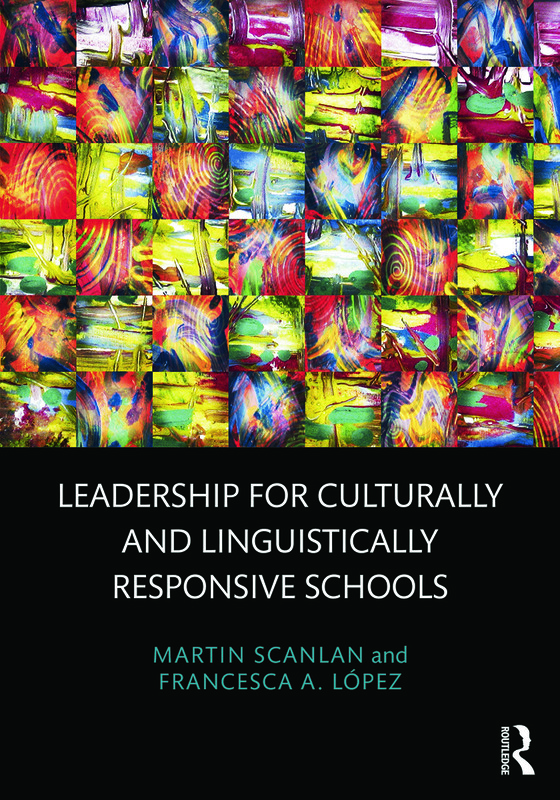 Leadership for Culturally and Linguistically Responsive Schools provides aspiring and practicing leaders the guidance to lead, organize, and support their schools to effectively serve linguistically and culturally diverse students. Authors Scanlan and López explore how schools can cultivate students’ linguistic and cultural proficiencies, provide students with a rich and challenging learning environment, and ensure that students are socioculturally integrated. Bringing together research from the field of bilingual education and school improvement, this book provides a strong theoretical and research framework as well as best practices for supporting all students. Storyboxes are used to detail specific cases of how school leaders put theory into practice, illustrate concepts, and show the "messiness" of how school transformation unfolds in reality. Exercises are integrated throughout each chapter providing launching points for critical dialogue and helping readers make connections to their own contexts. A Companion Website includes exercises from the book available for download and modification and a blog focused on emerging research and effective practices. "This book should be on every school leader’s reading list. It is both inspirational and practical. Framing the content around the key elements that help culturally and linguistically diverse school populations, the authors provide research and practice ideas that can be easily considered by school leaders both novice and experienced. The exercises help leaders see the new mainstream students in a new light." "Scanlan and Lopez have taken a unique approach to help school leaders effectively meet the needs of culturally and linguistically diverse students. A seamless blend of theory and practice, this book offers school leaders tools for supporting strategies that facilitate language learning. It is a must-read for campus principals, bilingual education directors, and teachers who work with CLD students." Chapter 3: How Do School Leaders Promote Sociocultural Integration? Chapter 5: How Do School Leaders Cultivate Language Proficiency? Chapter 7: How Do School Leaders Ensure Academic Achievement? Martin Scanlan is Associate Professor in the Department of Educational Policy and Leadership at Marquette University, USA. Francesca A. López is Associate Professor in the Department of Educational Psychology at University of Arizona, USA.